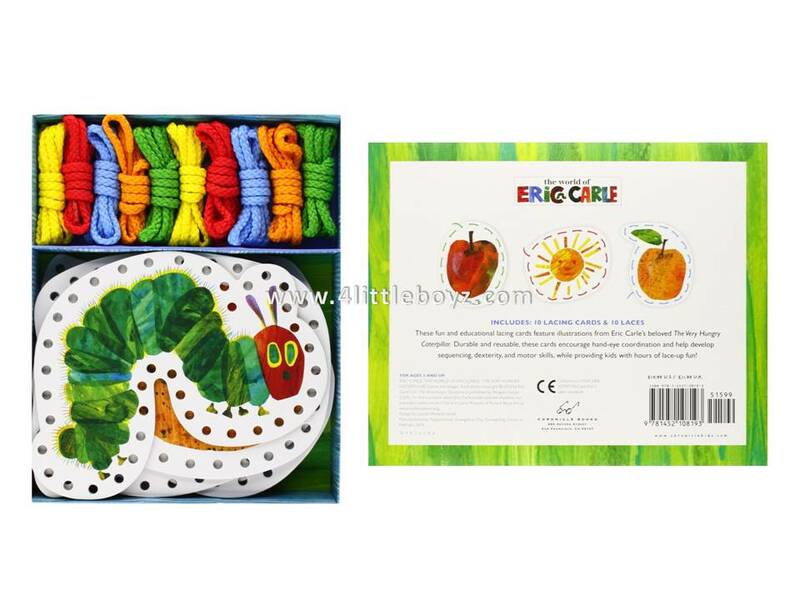 These entertaining and educational lacing cards feature Eric Carle's charming illustrations from his bestselling book The Very Hungry CaterpillarT, and include favorite characters like the classic caterpillar and beautiful butterfly. 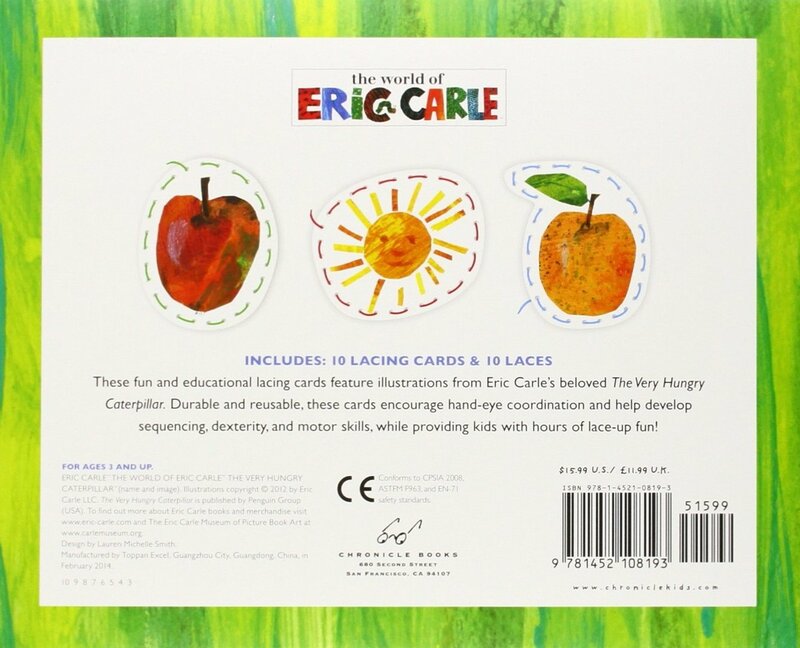 Printed on thick, sturdy board, these lacing cards are durable and reusable, and perfect for small hands to hold. 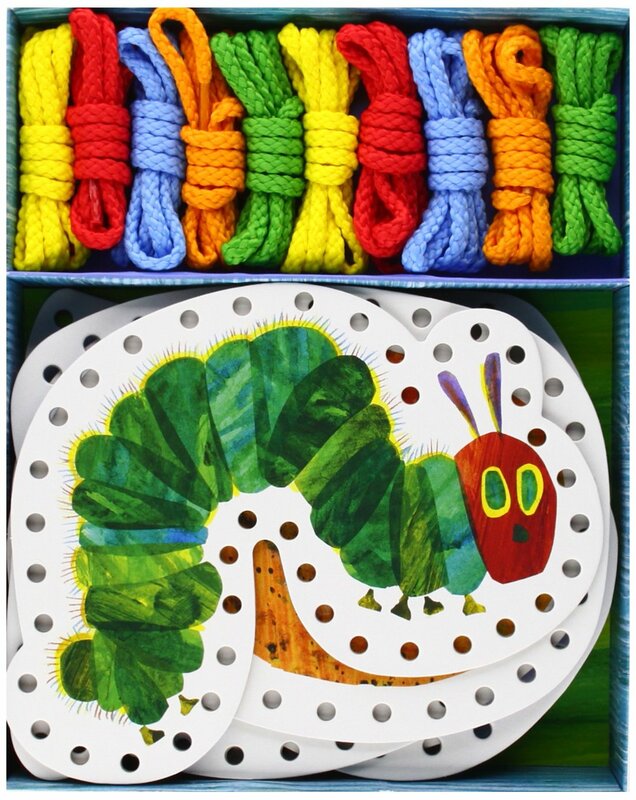 Lacing cards encourage hand-eye coordination, and help develop sequencing, dexterity, and motor skills, while also providing kids with hours of lace-up fun!